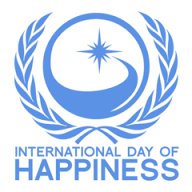 March 20th is International Day of Happiness , so it is a great opportunity to explore what we generally consider happiness to be – and look at what Thomas Jefferson was considering when he referenced the Pursuit of Happiness in the Declaration of Independence. Individually, we all have different definitions of happiness. For many, that might mean video games, sports, reading books, art, family, friends, a nice house, lots of money, traveling, and the list goes on. Things, thoughts, activities, possessions all can work towards giving us individual happiness – and there is nothing wrong with that. But let us look at Happiness with a capital letter – now we are looking at a Happiness that can be applied universally. This was where Jefferson was going with his Pursuit of Happiness. To understand the origins of this inalienable right, we need to look at where the author of the Declaration of Independence was coming from. A student of the Greek and Roman classics, Jefferson referenced in a letter to a friend his fondness in particular for Epicurus who saw happiness as the goal of life. The difference between individual happiness and the big Happiness is that true, solid Happiness is based on Virtue. We must be virtuous. All the wonderful things we attain, all the great deals we get, all the personal benefits we enjoy can achieve a level of happiness – but it’s a small happiness, not the big Happiness. Big Happiness is tied to other people, or as Alexander Hamilton referenced, a “social happiness”. Today’s science agrees with the founders of the American Dream, in that Happiness is not found in material wealth, in power, or in many of the other attributes people often associate with an ability to find Happiness. Money is important, but research shows that once basic needs are met, money has a diminishing return in its ability to provide happiness. Money, salary raises, can be an incentive to encourage greater productivity in workers – but then it reaches its limit and is no longer effective – people eventually want more than just money out of life. In terms of generating happiness within ourselves, the science supports the theory that Happiness is based on Virtue. Visiting the DayofHappiness.net website, we see the first two suggestions are “do things for others” and “connect with people”. Virtue provides the foundation of Happiness. 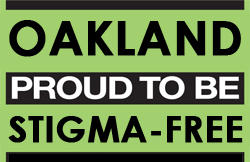 Many of the other components that are shown to promote Happiness are the same messages being promoted by LetsTalkOakland such as exercise, awareness and acceptance.